Looking at the stars at night is like looking at all the words of the world spread out before us. We look at the stars and pick a few to link together into a story. 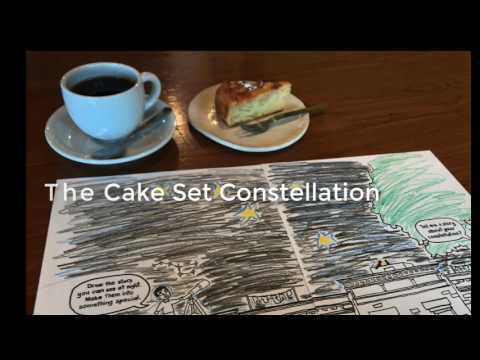 We call the stories constellations. Some of the stories have been given to us from a long time ago, some of the stories you and I are going to start making right now. We can make our own constellations. What does the night sky look like where you live? What experiences have you had in your life? What stories do you see when you look at the stars? 1 Draw the stars you can see at night. 2 Connect the stars to make a constellation. 3 Give your constellation a name. 4 Write a story about the meaning of your constellation. Most people live in cities and can’t see the constellations we learn about in school. Today when we look at the night sky, we see more cities than stars. We need to make new constellations. You can make a constellation using the stars you can see where you live. Making stories is good writing practice. There is a beginning, middle, and end. Setting, climax, resolution. These words will begin to mean something to you now because you will be making your own story.